Tampa, FL – Best known for his virtuosic guitar instrumental albums, Tampa guitarist Todd Grubbs will be releasing for the first time a predominantly “vocal” album titled “As The Worm Turns”. Not to fear, you still hear Todd shred on guitar throughout the album, but this time around the tracks are more “song” oriented. Todd Grubbs’ core band as always is Jeff Henry on Drums Alan Tatum on Bass. Also included, Daniel Swartwood and Eddie Ray Myers on keyboards. Todd also has some great singers involved, Zack Stevens (Savatage, Circle to Circle) John Wesley (Solo,Porcupine Tree) Todd Plant (Eyewitness,Cryptic Vision) as well as a couple of fantastic young singers, Emily Velasco and Melanie Sims. Todd Grubbs studied at Berklee College of Music and has been voted ‘Most Outstanding Guitarist’ at the Tampa Bay Music Awards, as well as winning the ‘Most Outstanding Video’ two consecutive years in a row. Along with Frank Zappa, Grubbs influences, which can be heard throughout Time, Space and the Electric, range from Steve Vai, John Coltrane, The Beatles, Kate Bush, Jeff Beck, Michael Schenker, Ulli Jon Roth and Adrian Belew. 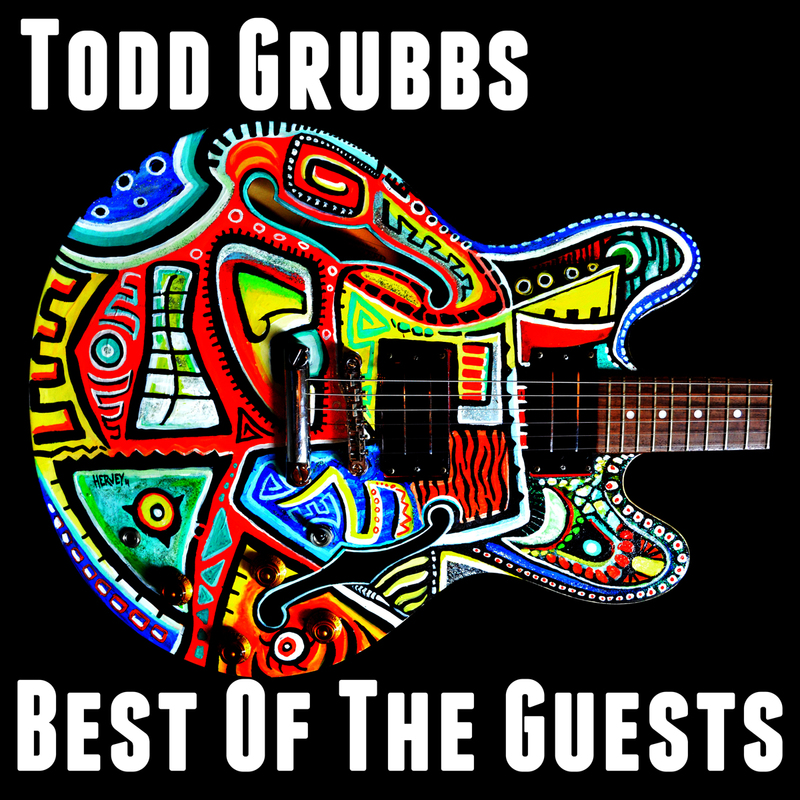 Tampa, FL – One of the most talented and innovative guitarists to emerge from Florida, Todd Grubbs has released two new albums digitally in March 2013 – ‘Best Of The Guests’ and ‘Toddities volume 2’. Todd Grubbs, who studied at Berklee College of Music, has been voted ‘Most Outstanding Guitarist’ at the Tampa Bay Music Awards, as well as winning the ‘Most Outstanding Video’ two consecutive years in a row. His guitar prowess has been touted by critics and fans worldwide, and can be witnessed on all his solo albums. Todd has surrounded himself with an array of legendary music artists and musicians which is the inspiration behind the album ‘Best of The Guests’. ‘Best of the Guests’ features Derek Sherinian (Dream Theater, Black Country Communion), Bryan Beller (Steve Vai, Joe Satriani, The Aristocrats), Mike Keneally (Zappa, Solo), Sean Malone (Cynic), Blues Saraceno (Poison, Transmission OK), Chris Poland (Megadeth, Ohm), Don Preston (Zappa), John Wesley (Porcupine Tree), Jerry Outlaw (Bogus Pomp), Pattrick Bettison (Acoustic Alchemy), Mark Prator (Iced Earth), and Ralph Santola (Obituary).